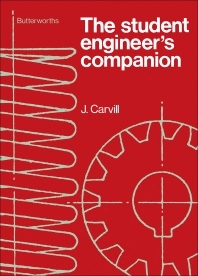 The Student Engineer's Companion provides descriptions of various engineering tools, processes, and materials. The book is comprised of four chapters that cover the different aspects of engineering, which are basic engineering components, power transmission elements, workshop equipment, and engineering materials. Chapter 1 describes the basic components, such as bolts, nuts, and rivets. Chapter 2 discusses a wide range of power transmission elements, including brakes, clutches, and shaft couplings. Chapter 3 deals with hand and machine tools. Chapter 4 covers the important metals, alloys, and other materials used in engineering. The text will be of great use to readers who have an interest in engineering.